For some weird reason at some point many years ago I got tired of hating people who disagreed with my politics or my religion. And then that tiredness extended to being tired of enjoying the judgement and ridicule of celebrities that the tabloids and talk shows made fun of. For some reason all of this judgement that the media, magazines, talk shows and gossip circles practically seduces all of America to partake in suddenly lost its allure. From somewhere in my mind a principle asserted itself--think of every single person, which includes every single celebrity--think of them as your friend. Process the judgement that is being poured out upon them through that lens. When a friend of yours screws up, does something stupid, or faces criticism, what are the things you say? Things like: that doesn't define them; there is so much more to them than that one act; it's complicated; they've stood by me in my darkest hour, and I'll stand by them; even though they were wrong, they are still my friend. You do things like give them the benefit of the doubt. You consider their circumstances. Your knowledge of who that person is causes you to see all of their actions in a deeper context, in a different light. I don't know Cam Newton, I've never met him before, I'll never meet him. I don't know what he's like--and any amount of ESPN clips I can see of him will not get me any closer to actually knowing him. In fact, they get me further away, because it's such a distorted image. Put a camera or a microphone in front of my face and I can barely remember my own name, let alone conduct myself as I do day in and day out in my familiar context. 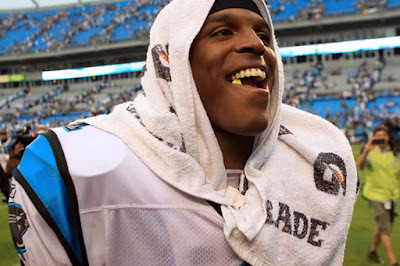 Cam Newton doesn't need to be Russell Wilson. Cam Newton was not gracious in defeat. Being gracious in defeat is a great personal strength to have. Do you have all of the character strengths that exist? 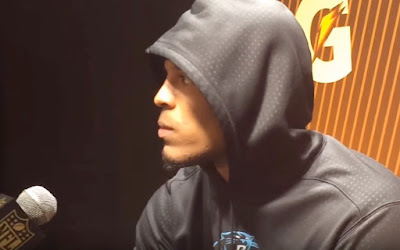 If Cam Newton was my buddy, I can imagine saying something like, "Nope, Cam doesn't take a loss very well, he's too fixated on being the best, on pushing himself, and it's hell for him to go through a defeat. But he's the first one to be there for me when I'm down on myself." 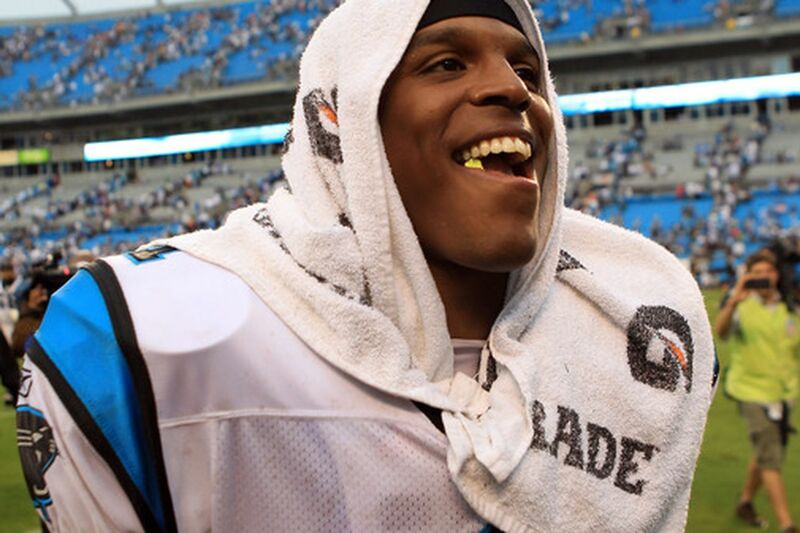 Maybe we saw Cam Newton in an immature moment, and it's something that he will grow out of. Maybe we saw Cam Newton as who he is and always will be--someone who can't take a loss well. I have never said anything in my life with more conviction than this--so what? I'm not perfect, my friends aren't perfect. We all have flaws that we will never overcome, we somehow find a way to put up with one another, and love each other anyway. I don't want to ever pretend I know enough about someone I've only met on a TV screen to say I know the first thing about that person, that I'm qualified to pronounce a judgement. In the meantime, unless I know otherwise about you, I'd rather just think of you as my buddy. I'd rather work my charity muscle than my judgement muscle. Excellent Jason, thanks for saying it!